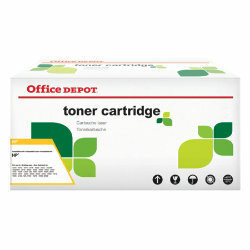 Office Depot Toner cartridge. Compatible with HP CF210X. Suitable for HP LaserJet Pro 200 color M251n 200 color M251nw 200 color MFP M276n 200 color MFP M276nw. Page yield approx. 2.400 pages. Colour: black.